It would be incomplete if the excitement of Kompasiana Visit activity was not documented. This picture is the proof of excitement of PT. 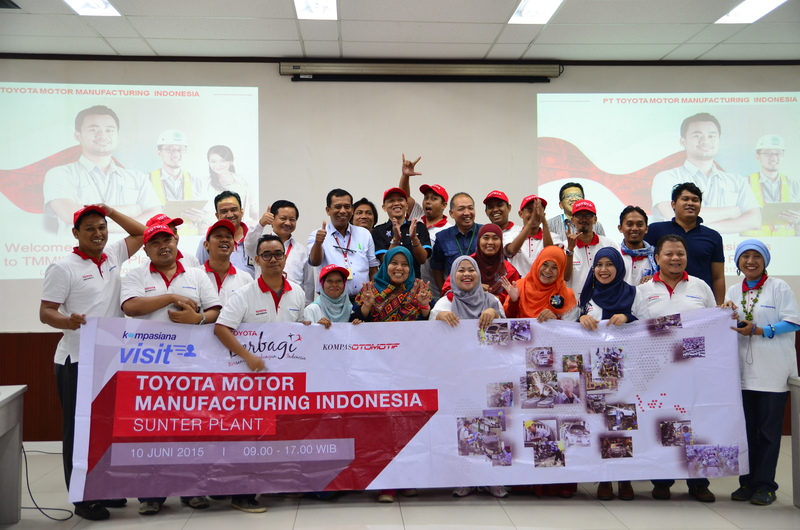 Toyota Motor Manufacturing Indonesia with The Kompasianers. The Kompasianers was photographed together with Kang Pepih and Mas Banu (the speaker on Kompasiana Visit). It shows us the enthusiasm of The Kompasianers to the informations and experiences that has been given to them.